It's been two years since we've been skiing and I've missed it so much! 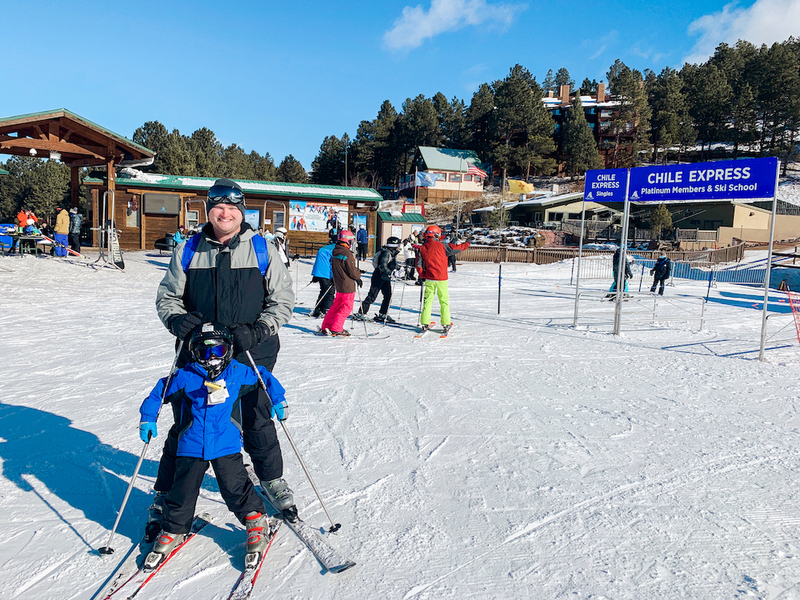 This year we headed on a 12 hour road trip (including stops) to Angel Fire, New Mexico for a 5 day family ski vacation. 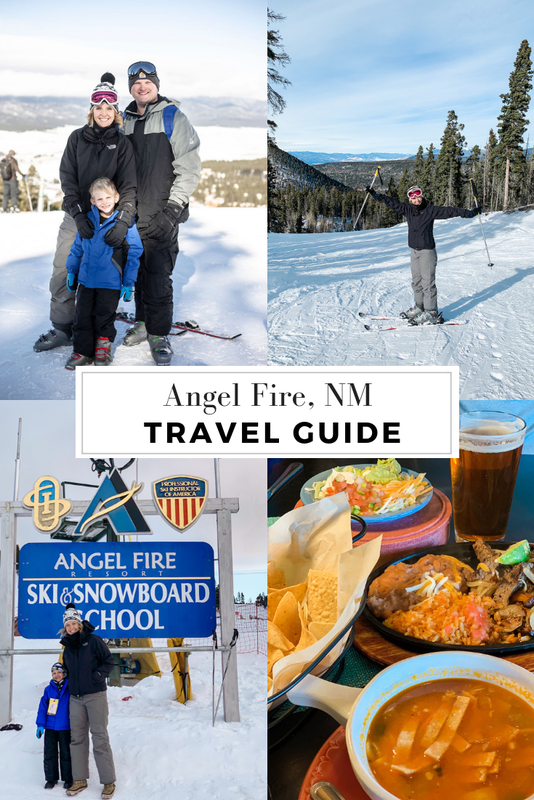 Today I'm partnering with Angel Fire Resort to share a look in to the resort and our favorite family activities! We didn't take our two year old twins with us this year because my in-laws volunteered to watch them and I'm not going to say no to that. Angel Fire would have been more than accommodating as they have a highly-rated day care (Snow Bear Camp), but the road trip was MUCH easier without them ; ). 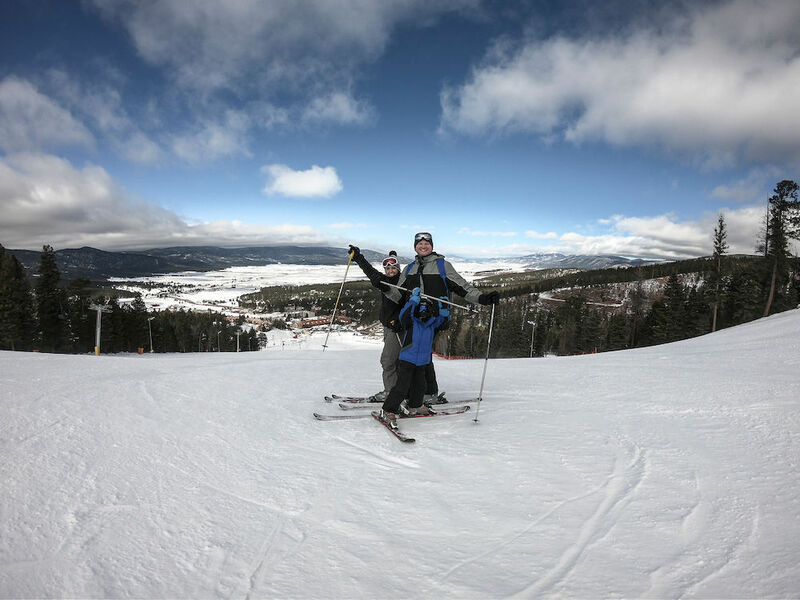 Angel Fire Resort began in 1966, as a small ski destination in Northern New Mexico. 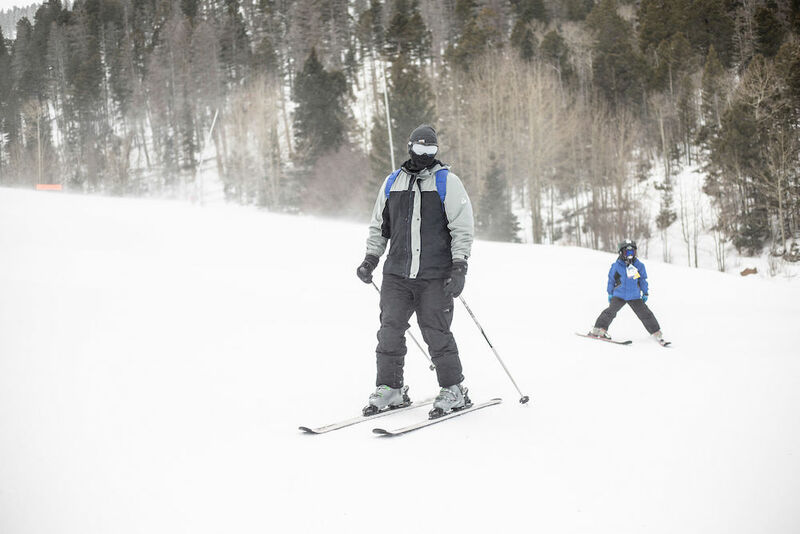 The resort sits 8,600 feet above sea level in the Southern Rockies and has views of Wheeler Peak, the highest point in New Mexico. 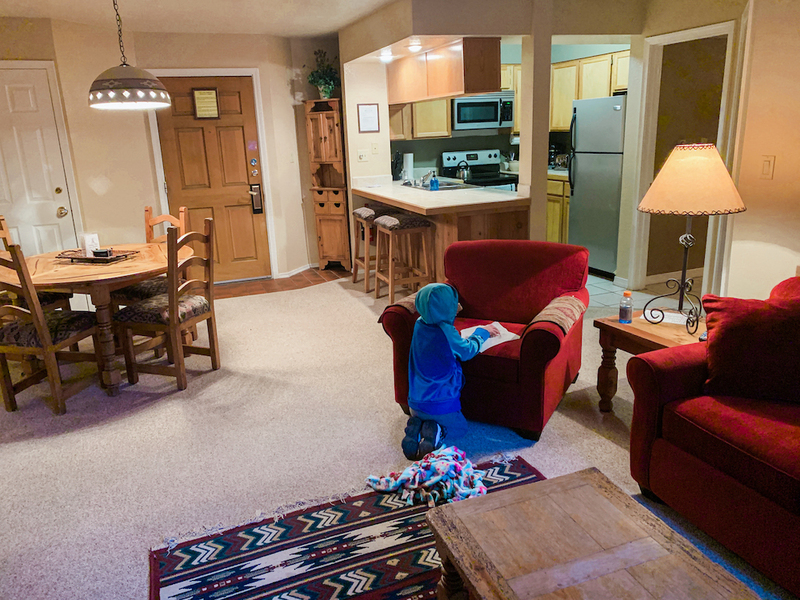 We stayed at the Angel Fire Condo, Mountain Spirit, which are great for families and large parties. Our room had a master bedroom with a king bed, living room with a pull out couch, patio, wood-burning fire place, kitchen, large bathroom and a dining room. 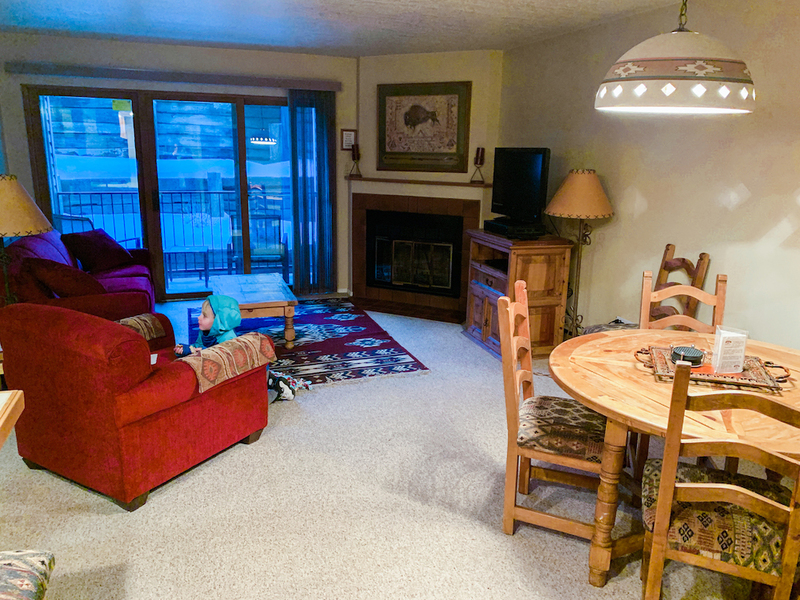 If you want to save money by not eating out, the condos are great because they are fully stocked with dishes, cookware and cutlery. There is a grocery store just down the road where we grabbed a few things to cook at our condo. 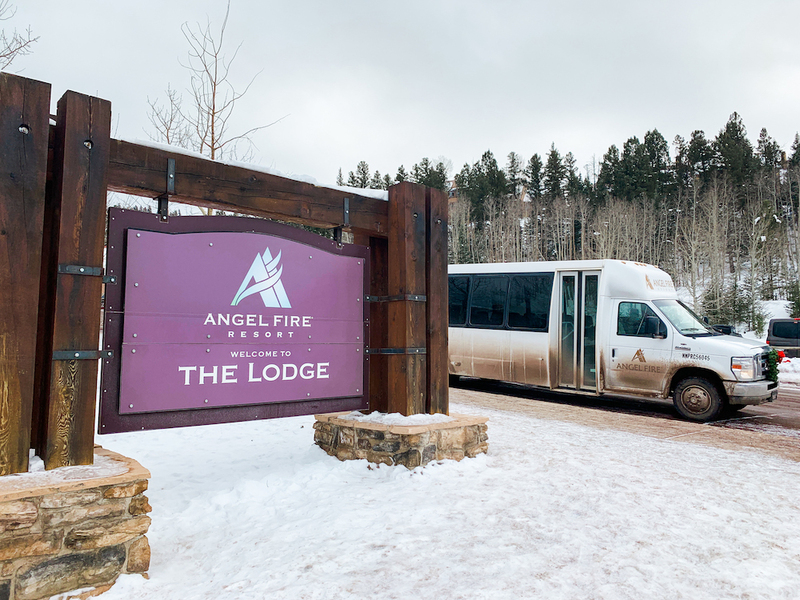 Angel Fire also has an RV resort, cabins or you can stay in the main lodge which is steps from the Chile Express chairlift. 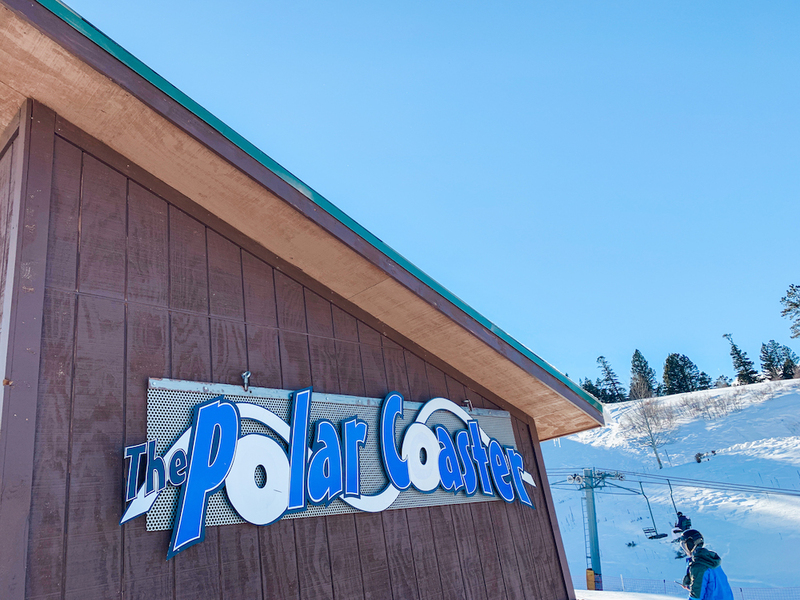 What you'll notice almost all Angel Fire Resort properties are VERY close to the chairlifts. Our condo was only a block and a half away however we took the free shuttle which picked us up right in front of our condo. There is not a lot of parking near the ski area, so taking the shuttle is your best and most convenient option. 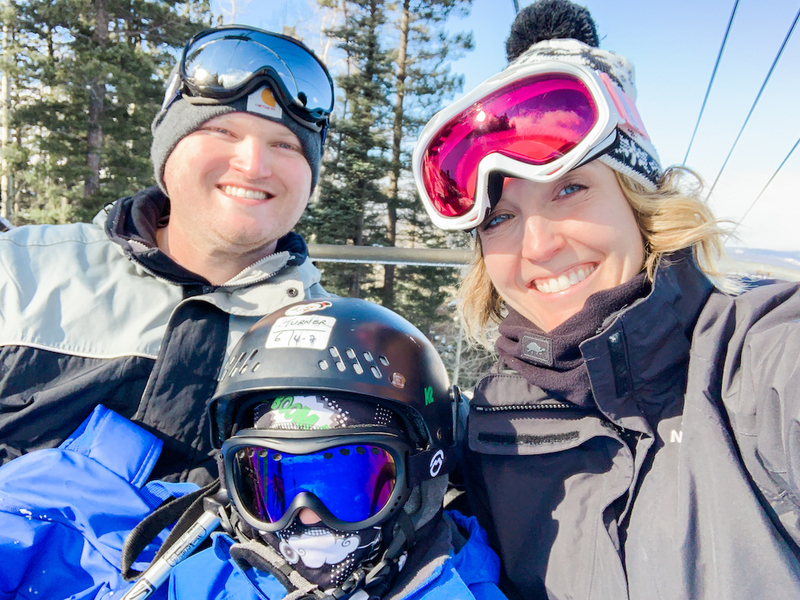 The first thing on our agenda was to get Turner signed up for ski lessons, which we booked about a month in advance as it fills up quick. 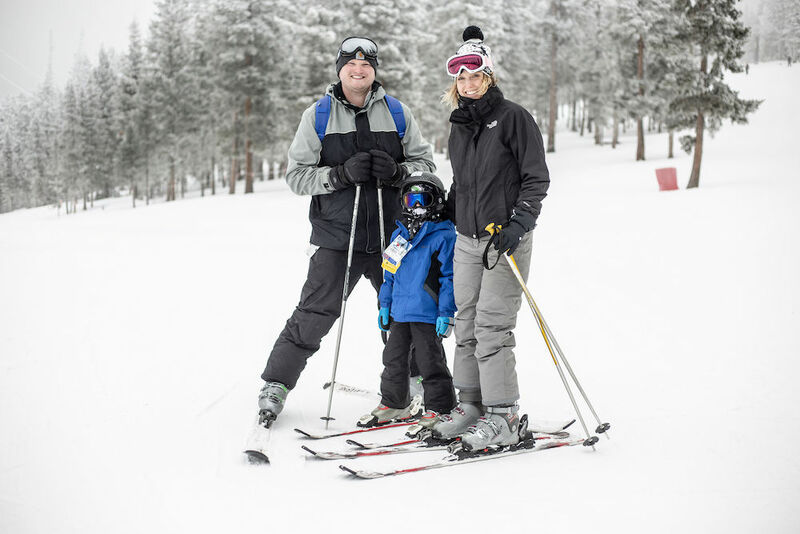 Angel Fire offers adult and kids ski and snowboard lessons starting at age 2. 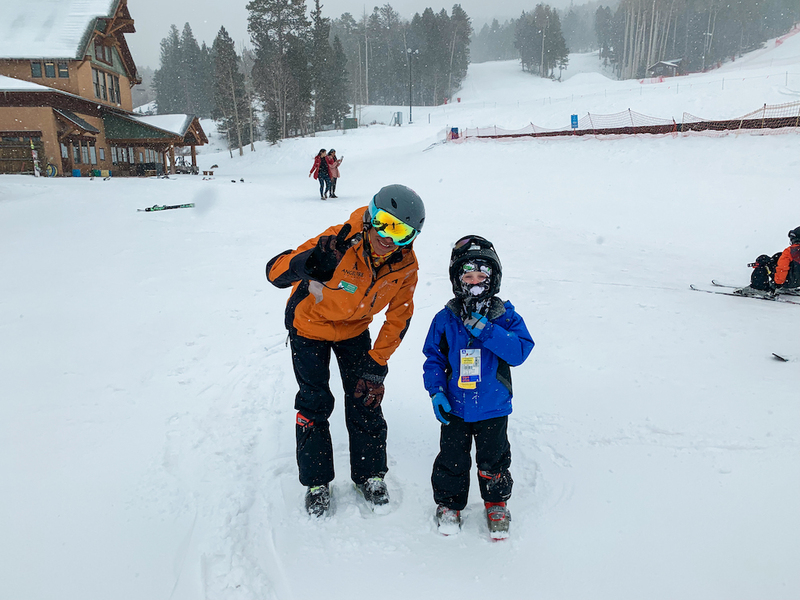 Prior to this, Turner had only skied once and it was for a very short amount of time when he was 4 years old, so he was pretty much starting over. On the morning of his first lesson, the process to get him signed in was a BREEZE. 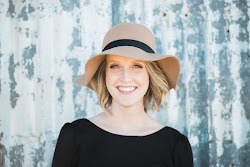 The staff was super attentive, helpful and made us feel very confident he was in good hands. Once we signed him in at 8am, we said our goodbyes and they took him through and got all his gear which we payed for in advance. 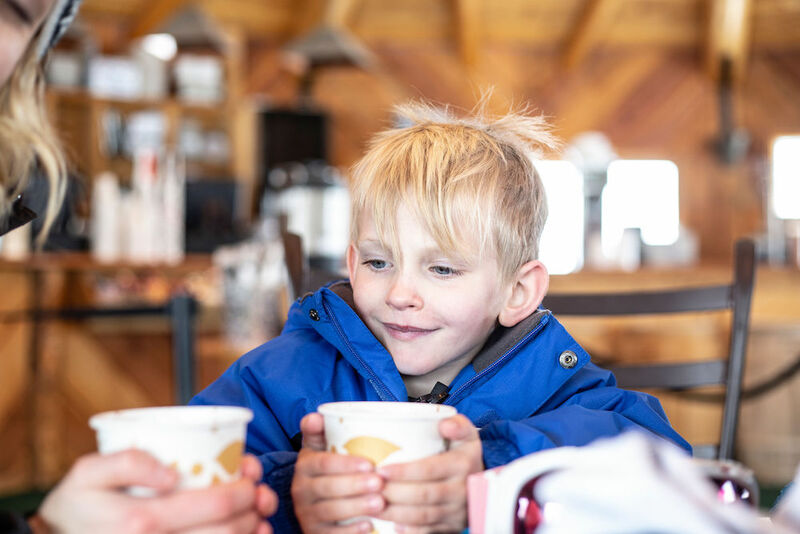 Lift tickets for children under 6 are FREE! The classes are very small and he had only two other kids with him. They take snack breaks, a lunch break (lunch is included), and have wonderful instructors that are very patient! Turner's instructor, Bryan, would give us a recap at the end of everyday in a sheet showing what they worked on, what Turner aced, and what they would work on the next day. One thing that blew me away was the Flaik GPS System, which is a GPS-based alpine guest tracking system. 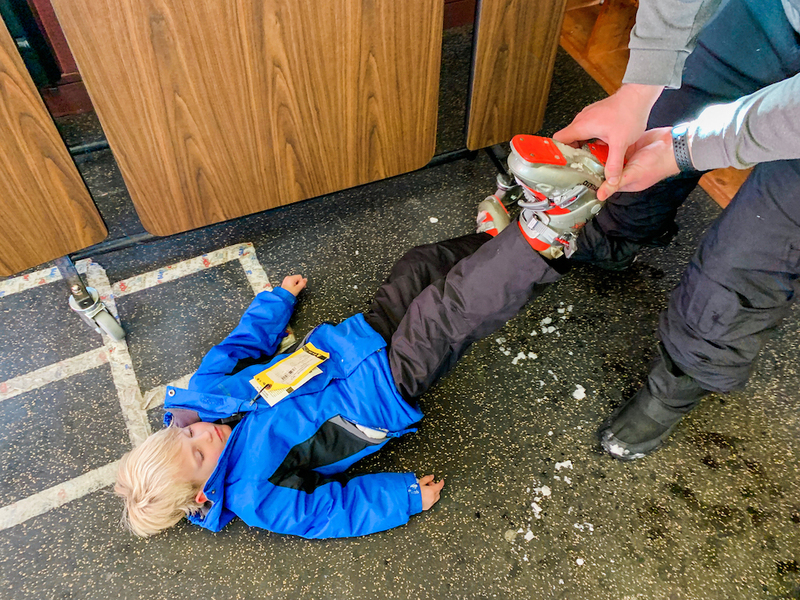 When we first signed Turner in to ski school, the instructor fitted him with a lightweight locator that went around his calf. 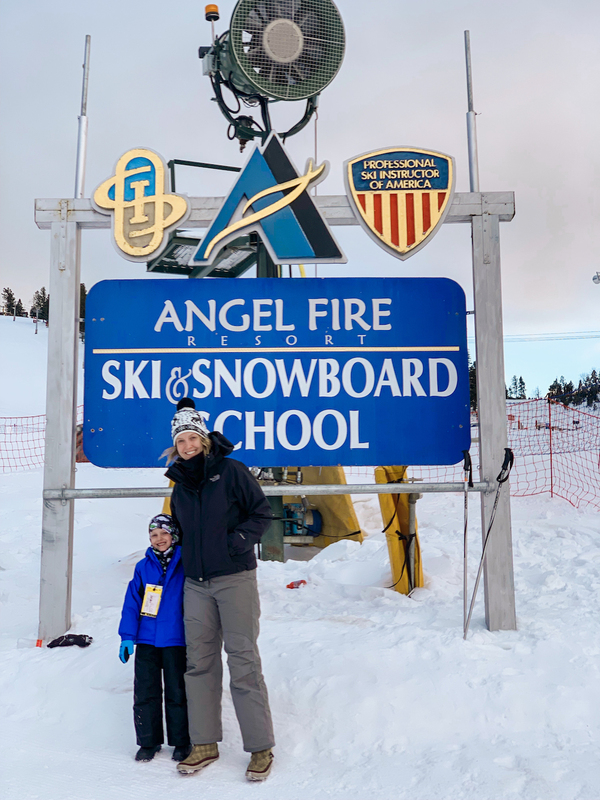 At the end of the day I was sent an email that read, "Relive Turner's Day at Angel Fire". In the body of the email it included a recap of every trail he skied and how many times as well as downhill runs and chairlifts he took. I then was able to see a map that highlighted in green EVERY single place he went. This gave me peace of mind and was a great way to see all he had accomplished in a day! Turner was in ski school for two full days and by the third day he was skiing on his own with Alex and I. He took the highest lift, Chili Express, up with us and did blues and greens coming down. To say I was impressed is an understatement. 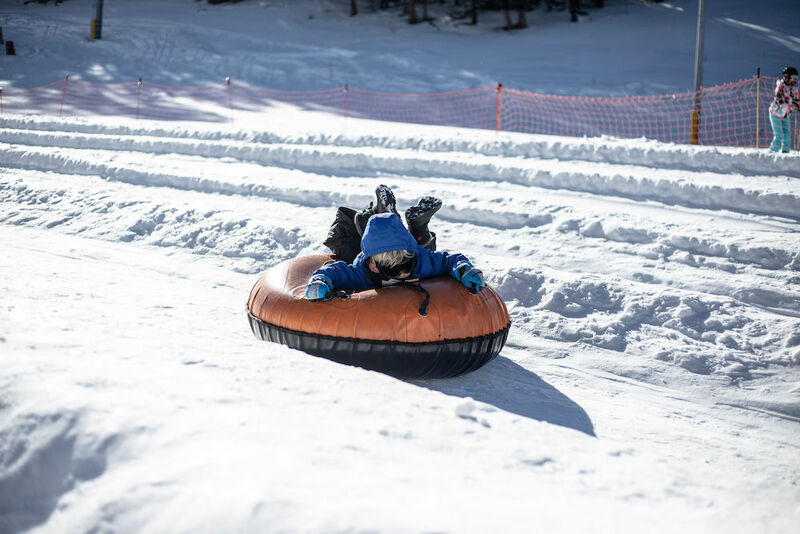 We took a break from skiing one afternoon and enjoyed the Polar Coaster snow tubing which is open daily from 10am-5pm. Oh my goodness, what a BLAST! 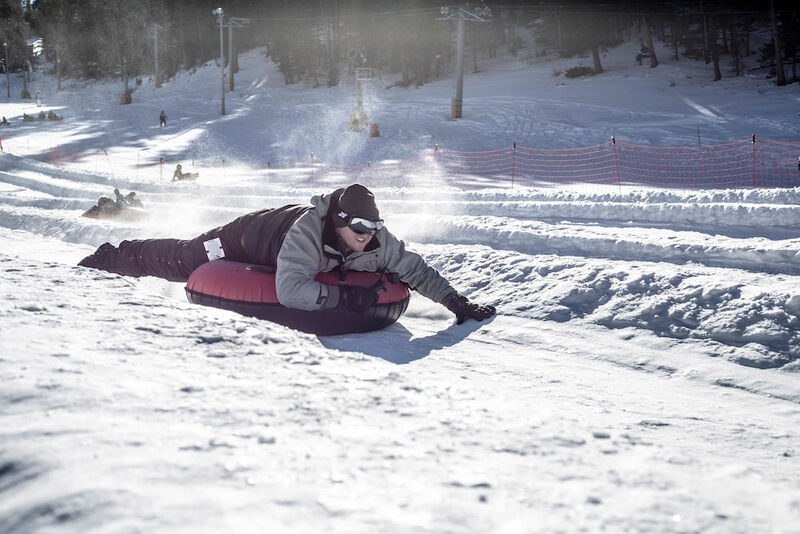 The Tubing Hill is 6 lanes and great for all ages (must be 42" tall). For 1 hour of tubing you pay $25 per person. Hearing Turner laugh and seeing his big smile was worth every penny. 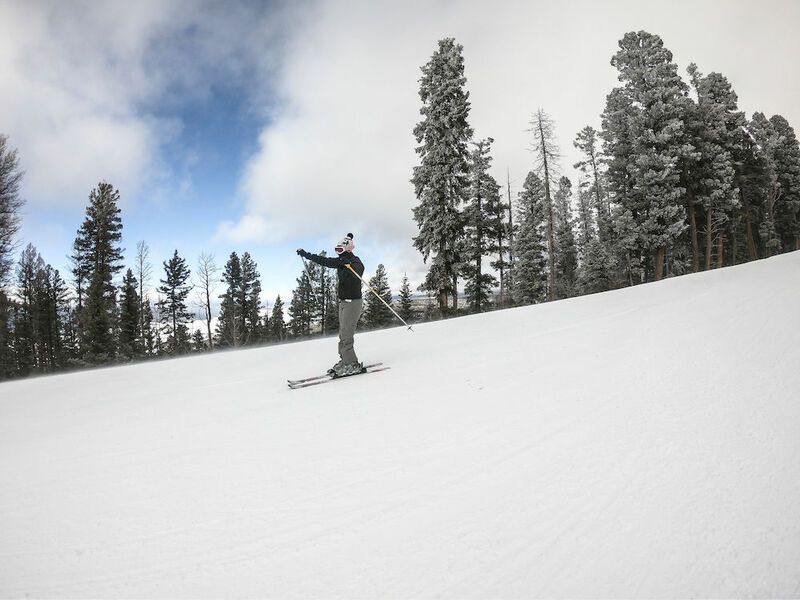 Other activities include Nordic Skiing and Kids Sledding at the Angel Fire Country Club. The skiing for Alex and I was amazing, and the snow was thick! While Angel Fire does have blacks, we stuck to blues and some greens which still had their tough and fun spots. We rented a plastic tub in the ski rental area so we could put our shoes and anything we didn't want to carry on the mountain. When we took breaks or went home for the night we were able to leave our boots and skis there. Extremely convenient and there were lots of bathrooms. Most days we were out the door by 7:45 am, dropped Turner off at ski school, lifts opened at 9am, skied till 11:30, ate lunch, skied from 1-3. Picked Turner up at 3:30, went home and relaxed, went out to dinner around 6, in bed by 8pm. Skiing takes it out of you! At the top of the mountain right next to the Chili Express lift we enjoyed drinks, hot chocolate and yummy food to warm us up and refuel us. 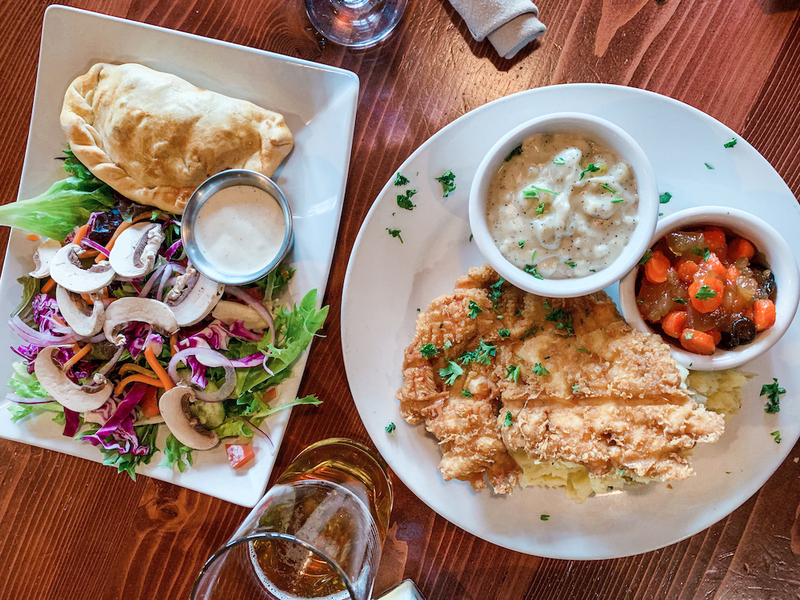 Some days for lunch we would put up our skis and walk to a nearby restaurant to enjoy some 1x1 time together! Our favorite restaurant was El Jefe, which I was a bit skeptical about considering we're from Texas but the Mexican food was delicious and Alex loved the Bloody Mary's. 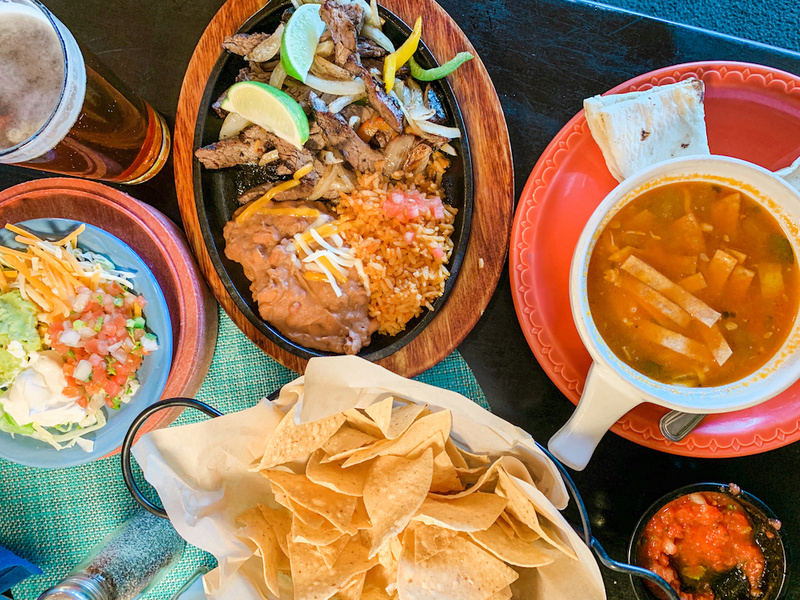 Get the chicken tortilla soup and churros if you go! Another restaurant I recommend is Mikuna Grill, which specializes in Peruvian cuisine. On our last day of the trip we met up with Rhys, owner of New Mexico Photo Co., to shoot some family photos and fun video footage! If you're looking for someone to create a custom video of your ski trip or capture your friends/family through photos, he's your guy! 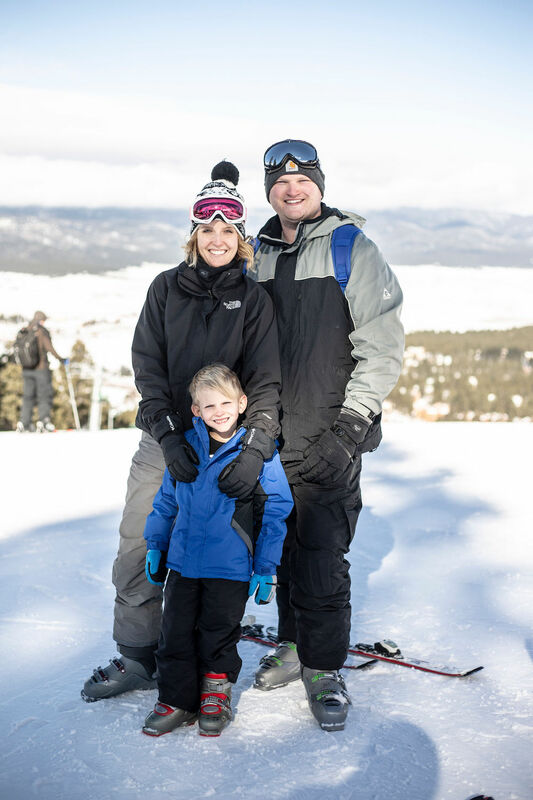 Angel Fire was the perfect family vacation, and I can't wait to go back with my entire family! Our trip was gifted by Angel Fire Resort but all thoughts and opinions are my own.